Franklin Road Christian School is designed to assist the Christian home in the responsibility of training the child in a Christ-centered philosophy of life. FRCS is one of the top educational institutions in Middle Tennessee. With an average ACT score of 24 and 96% of all graduates going on to college, FRCS carries a reputation of excellence in Christian education. Our roots trace back to a strong foundation upon God’s Word as well as traditional education. From preschool up we begin our children in the fundamentals of learning and build upon a strong, Christian curriculum. 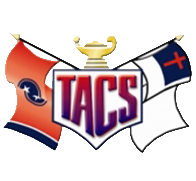 FRCS is recognized as an accredited institution by the state and the nation as a member of both the Tennessee Association of Christian Schools and the American Association of Christian Schools. 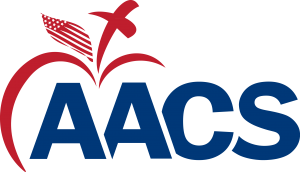 As of January 2014, FRCS received accreditation from the Southern Association of Colleges and Schools. Admission to Franklin Road Christian School is open to any young person who meets the entrance requirements. FRCS admits students of any race, color, national, and ethnic origin to all the rights, privileges, programs, and activities generally accorded or made available to students at the school. It does not discriminate on the basis of race, color, national, and ethnic origin in administration of its educational policies, admission policies, and athletic or other school administered programs. The goal of the FRCS athletic department is to use sports to develop Christian character in each student. See what’s coming up next at FRCS. You can view the events and athletics calendar as well as subscribe.